With sweet thoughts about the value of friendship, this inspirational book preps young ones for the world beyond their own families. The striking photographs paired with poetic text will encourage more unplugged and imaginative play, help kids develop skills essential to their social and communicative development, and create a sense of belonging and security. Plus, we guarantee you'll finish the book wanting to hug a friend. A comprehensive afterword details the backstories of the incredible photos, which feature children and animals from around the world. 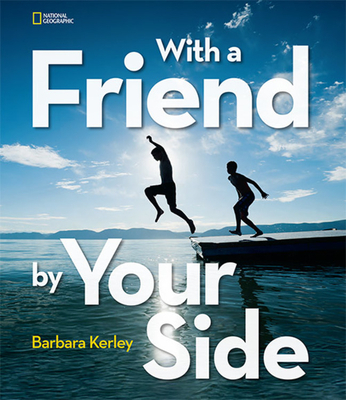 Barbara Kerley is the author of National Geographic's A Cool Drink of Water, which received a starred review from School Library Journal and was named an Outstanding Science Trade Book by the NSTA/CBC, and You and Me Together, which was named an ALA Notable Book. Her third book for National Geographic, A Little Peace, was called "powerful" by School Library Journal and "stunningly beautiful," by the Boston Globe. It was named to the Chicago Public Library Best of the Best Book List and a Notable Social Studies Trade Books for Young People 2008. One World, One Day, her fourth NGS book received a starred review from Publisher's Weekly and was named a Notable Social Studies Trade book. She also wrote Walt Whitman: Words for America, which was named a Sibert Honor book, The Dinosaurs of Waterhouse Hawkins, a Caldecott Honor book, and What to Do About Alice?, a Sibert Honor book. She lives in Portland, Oregon.